Bonds Place Bed & Breakfast Our records show that this inn is closed. Anderson Island bed and breakfast travel guide for romantic, historic and adventure b&b's. 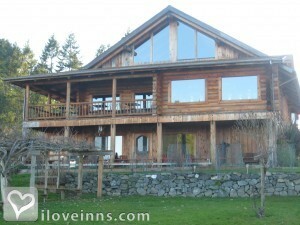 Browse through the iLoveInns.com database of Anderson Island, Washington bed and breakfasts and country inns to find detailed listings that include room rates, special deals and area activities. You can click on the 'check rates and availability' button to contact the innkeeper. Anderson Island is probably one of the most scenic locations found off the coast of Washington. To tour the island, one can do so by foot or by riding a bicycle. The old one-room schoolhouse that was constructed in the late 1890s is an interesting site and a mile away from this landmark is Johnson Farm, now Anderson Island Historical Society Museum. The island has one golf course, the Riviera Community Club. Go kayaking in the lakes and coastal waters - you can rent from Anderson Island Kayaks. Beach Home and Hideaway House are two spots on the island where one can see a perfect sunset. From their Anderson Island bed and breakfast inns, guests often take a short drive to Riviera Lakeshore Restaurant for a romantic dinner. By The Inn at Burg's Landing.